Triple Dark Chocolate Scones - Chocolate Chocolate and More! Cocoa, semi-sweet chocolate chips and dark chocolate glaze make these triple dark chocolate scones an irresistible treat any time of day. I’ve got an Australian housemate and I work with quite a few Australians here in Cambodia. Recently I made chicken and biscuits. This is comfort food from the American South so we’re a bit protective about it. My Australian housemate came into the kitchen while I was making the biscuits and remarked that I was making scones. The hair on the back of my neck went on end. To an American, biscuits are savory (slightly salty) and scones are sweet. Suggesting you’d put chicken and gravy on a scone is the mental equivalent of putting chicken and gravy on chocolate cake. I love chocolate and I love chicken and gravy but I’ll keep those separate thank you. Australians and Europeans (and probably everyone but Americans) don’t make that distinction. 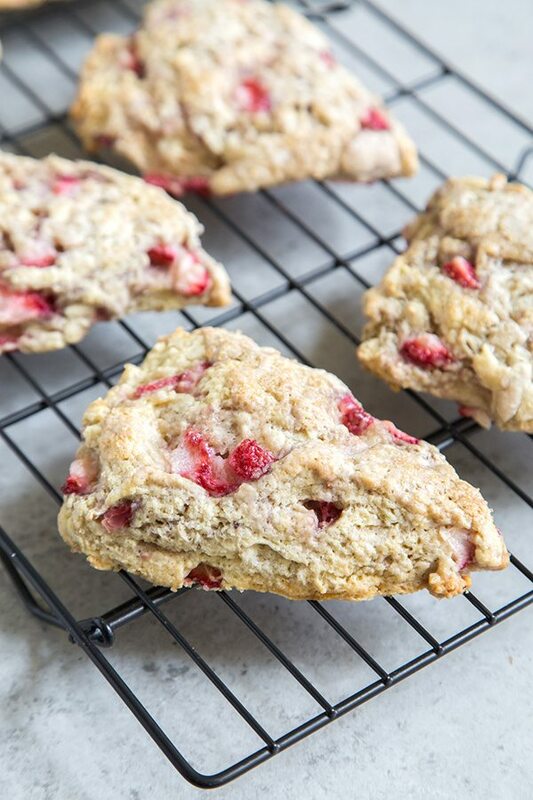 A scone can be savory or sweet. I’m not sure when Americans started calling the savory scones “biscuits” but they are very distinct in our minds. I decided to make a scone that everyone agrees is a scone. I was in the mood for chocolate so decided to make triple dark chocolate scones. The dough is flavored with cocoa and has semi-sweet chocolate chips. I made a thick glaze to ice the scones too. Since we all agree sweet scones go with coffee or tea, I had mine with some tea. It was a relatively cool day so I sat on the balcony and enjoyed the breeze. Numi sent me some teas through a friend of mine. You’ll be seeing them in some recipes coming up. Their dry desert lime tea has bolder lime flavor than I’ve ever had in an herbal tea. It is almost like fresh lime juice in a cup – perfect for afternoon tea with triple dark chocolate scones. Since I’m still missing things from my 9 months back home, I simply patted the dough into a circle and cut into pie shaped wedges. You could cut into squares or rounds if you like. I stored mine in the refrigerator because chocolate glaze melts pretty readily around here. If your house is cooler (as in not 90°F), you can store at room temperature. Mix dry ingredients together and make a well in the middle. Add the cream and mix until a dough forms. On a lightly floured surface roll dough into a circle that is about 1 inch thick. Cut into 8 triangles. Bake for 20 minutes and then cool on a rack. 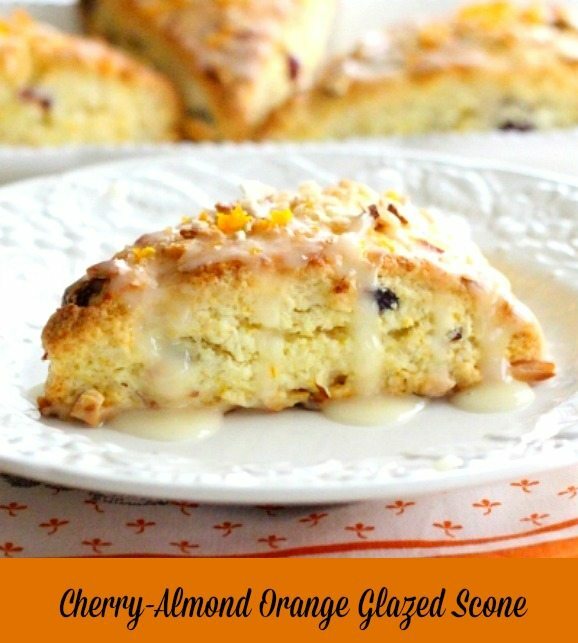 Drizzle glaze over top of scones. We’re glad you enjoyed it. Thanks for stopping by!